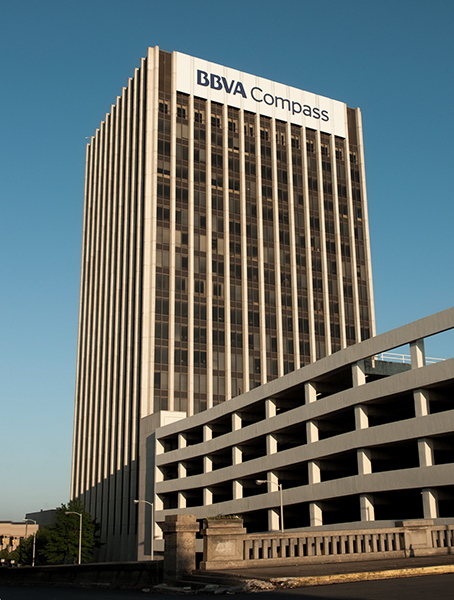 BBVA Compass Bank is headquartered in the historic Daniel Building in downtown Birmingham. The financial institution was founded as Central Bank and Trust in Birmingham in 1964. The Daniel Building was constructed by Daniel International, an engineering and construction company, in 1970. Photo courtesy of BBVA Compass.